Presents grammar through listening material which adds interest and aids understanding of the grammar while also improving listening skills. 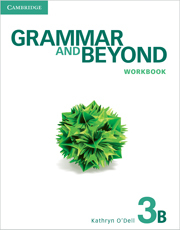 Contains clear and reliable grammar explanations with lots of examples making it ideal for learning new grammar points or for use as a reference. Practises a range of PET exam tasks from Reading, Writing and Listening papers providing exam preparation. Each exam practice section has a 'Grammar focus' task which connects the grammar studied to the whole exam. 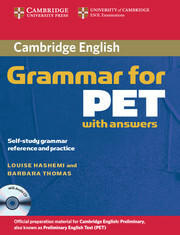 Includes a helpful grammar glossary where difficult grammatical language is explained simply.